What a Blessing to Enjoy What You Do! | Robert S. Minch, D.D.S., P.A. 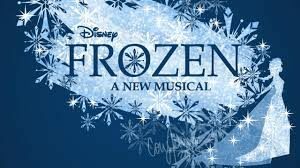 My wife and I took our family to New York this past weekend to see the new Broadway musical Frozen. We have several Disney freaks among us and this promised to be a unique opportunity to spend time together with something we all love. I won’t bore you with the very long story of how checking into our hotel room was bungled and that how, at 11PM after the show, we still didn’t have an official room……or how I got a ticket driving in the city…..
No, the rest of the weekend went off without a hitch, including the show itself. If you know the Disney animated blockbuster from 2013 then you know the story and the music. And the Broadway version did not disappoint- the special effects were amazing and the cast was inspiring. Now when I say that they were inspiring, I am thinking in particular of how passionate they seemed to be in their respective roles. 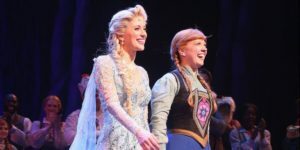 The young lady who played the role of “Young Anna” was filled with….. well, youthful exuberance and excitement. And the adult actors seemed to be genuinely enjoying their experience of being in the play and performing for the audience. So much so, that they were awarded with a standing ovation at the end of the play and everyone had a smile on their face as they left the theater. It got me to thinking about that old quote from Confucius- “If you love the job that you do, you will never have to work a day in your life.” I’m sure that is true for the actors in Frozen and it has always been true for myself and my staff at our office. 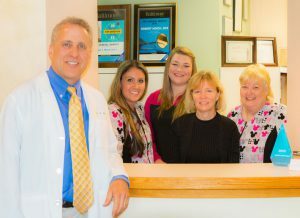 I feel very blessed that I enjoy the practice of dentistry as much as I do- to be able to create meaningful relationships with my patients while providing the absolute best dentistry possible makes coming to “work” every day a delight. I wrote a Blog piece years ago that was entitled “my life is a vacation” which resonates with this idea. And what’s even more fulfilling is that I know my entire staff feels the same way. They truly love what they do and appreciate how lucky we all are to be able to provide the excellent dentistry to appreciative patients- at times it almost feels like a standing ovation at the end of the appointment!! !